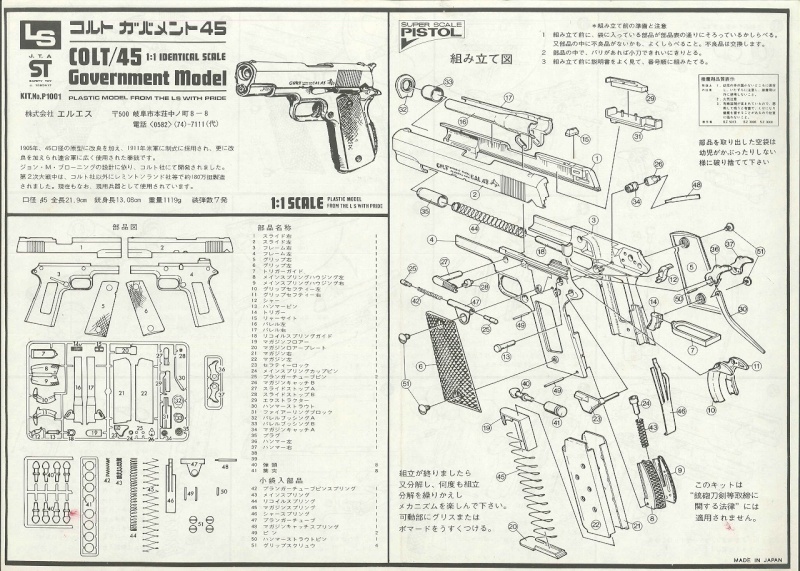 I've seen a compatriot of mine who got the instructions sheet for a LS model, through the forum. This is the Colt 45 Government or command. 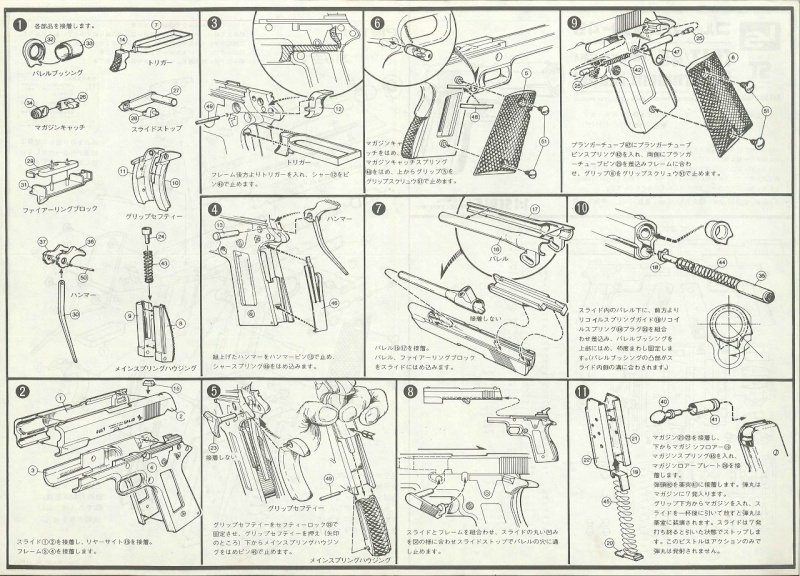 I post LS M1911 instruction. I hope it will help you. If you want to get larger pictures, let me know your e-mail address by PM. It's exactly what I wanted . I thank you very much. It's nice to know there are people like you, willing to share their treasures (and so quickly). I send you a pm. Just in case it is useful for someone, in my blog I have some instructions from the LS brand.